BGSA has a reputation of fielding some of the most competitive Select Teams in the GTA and this year will be no different. All of our Houseleague players, from Mite to Midget, should consider trying out to play for the Flames. It’s a great way to play some competitive softball, meet new friends and have fun. All Mite through Midget Houseleague players are eligible to play for the Select team in their division. There is a Select Program fee for those who are successful in making the team. That fee covers the uniform (the player keeps the entire uniform), a team photo and participation in 5 tournaments played in cities and municipalities around Brampton. All of the tournaments are 1-day events, usually within a 1-hour drive from our city. Our Select coaches will focus on practice and development time with our players. The Brampton Select tournaments will be successful and positive events that visiting teams will want to return to every year. Be committed to give 100% effort on the field, when playing and practicing. Be prepared to attend 6-8 additional practices throughout the season. Respect for coaches, teamates, ump’s and other teams. Be available for approximately 5 scheduled tournaments to be held this summer (check your division for the schedule). Have Fun! Meet new friends and add some extra excitement to your season. 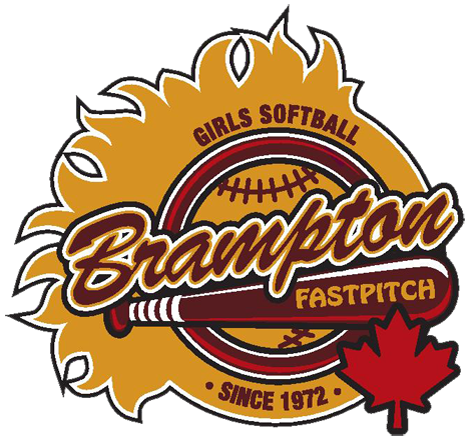 Tell your parents that a small amount of their volunteer time is needed to help run the Brampton tournament (concessions, field grounds keeping, etc.). Select coaches will be looking for the best players to fill out their team. They are not just looking for softball skills a positive attitude, showing enthusiasm and a willingness to learn are also important.